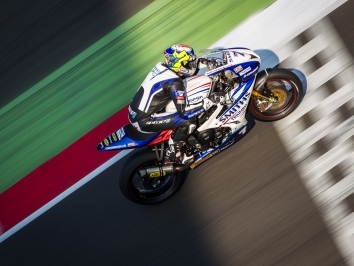 Last year’s Triumph Triple Challenge Champion Chrissy Rouse will make a return to the British paddock this weekend as he joins Team Haribo Starmix in the Pirelli National Superstock 600 Championship. 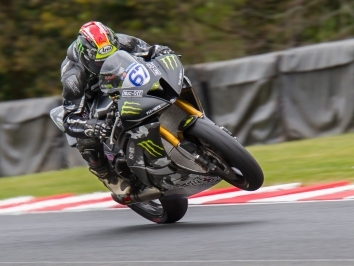 Rouse will once again get his hands on Triumph machinery as he contests the final round with the leading racing academy team, replacing Charlie King who has temporarily pulled-out after a tough season. It will be the second time the 18-year-old Geordie has teamed-up with Derek Sanders’ successful outfit. 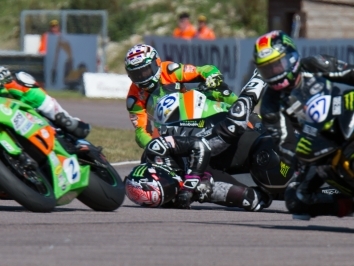 Last season, Rouse raced the Team Haribo Starmix bike at Snetterton in a one-off outing, finishing an impressive third in his first ever Superstock 600 race. “I have always been in close contact with Derek and had I opted to race for the full season this year, it would’ve been with Team Haribo Starmix. But I chose to concentrate on my exams, and took a little bit of a break just while I got them out of the way. I have known Derek for many years and as soon as an opportunity came up to ride for him again, we both agreed it was a good idea,” said Rouse. “When I rode the Team Haribo Starmix bike at Snetterton last year I remember being blown away by how great it was. I managed to finish third in the race with no Superstock experience, so I’m hoping having done the three European rounds, that experience will help. Obviously it’s a year since I’ve ridden a Triumph but I’m sure it won’t take long to get back into it. I’d love to get a really strong finish here and I’ll be certainly pushing myself hard.